Khadija and Rondell pulled off an incredible wedding within three weeks of their parents approving their choice. The celebrations were planned to honor each other’s backgrounds and cultures, and was full of significant elements. Here’s a glimpse into their big day. When Khadija first saw Rondell walk into the local boxing ring, she knew nothing about him, but had an epiphany - she was going to marry this man. It was love at first sight for her and they went on their first date on January 3, 2012. A few years into their relationship, they knew marriage was the next step but waited until their respective parents had accepted their partner who belonged to a different race than their own. 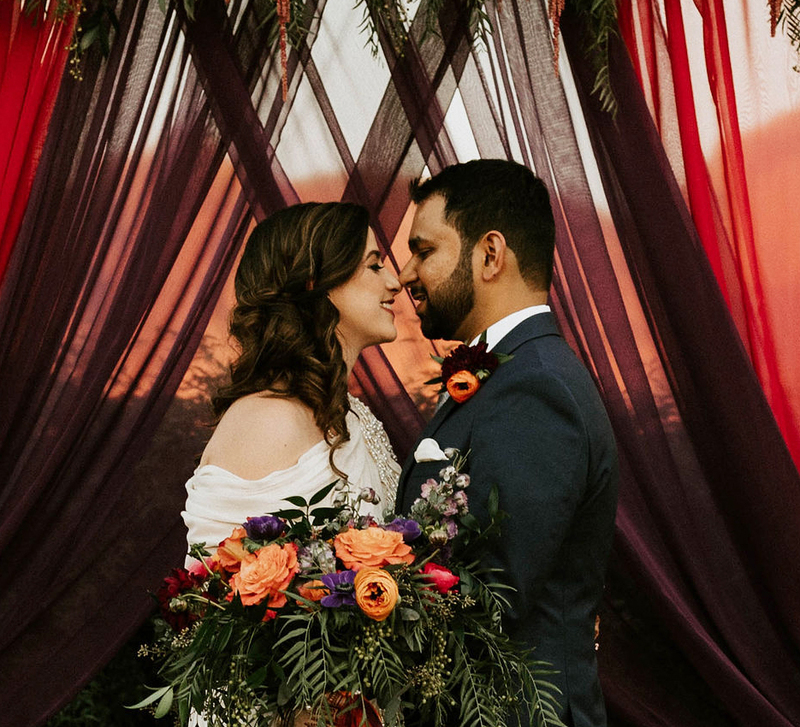 This couple had anything but a traditional wedding and they wanted to honor each other's heritage, culture, background, and families. They viewed Big Daddy's Antique's warehouse in San Francisco and found that it offered just the quirky and fun vibe they wanted. Khadija always joked that she'd plan to get married within weeks once her parents gave their blessings and so she did! They said “Yes” on January 3, 2019, and on the January 25, she and Rondell were ready to wed. It was a whirlwind week of planning but Khadija’s background in wedding planning proved to be an advantage. Since the venue at which Khadija and Rondell were getting married at was so unique, they decided to let the space dictate their wedding decor details. Their welcome table was set up in front of the antique gym lockers with vintage boxing gloves – a nod to the first time they met each other. They had a vintage typewriter for their guest book which required their guests to create a bucket list of adventures that would delight their adventurous sides. 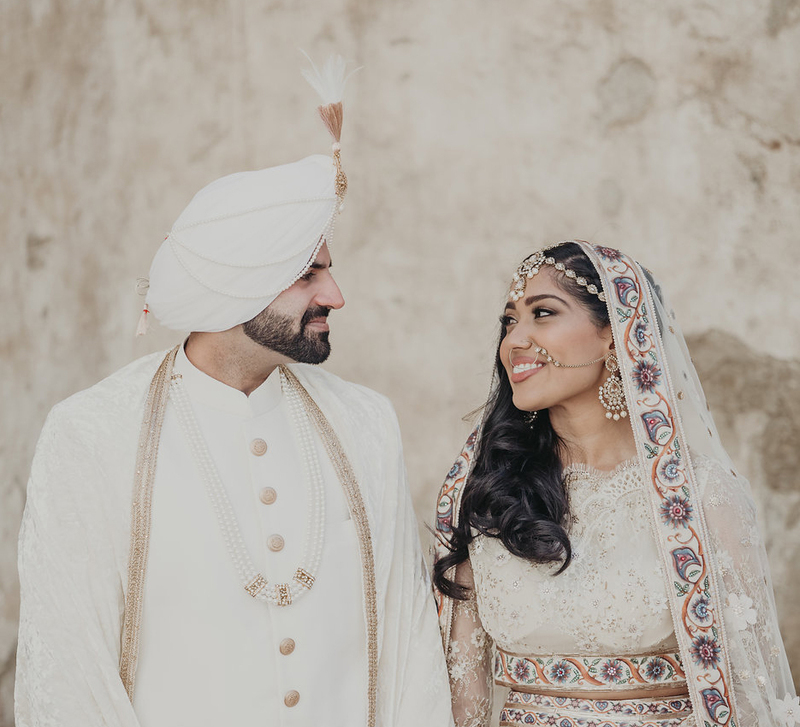 As they walked in Rondell sang for his love Khadija, which was followed by a live ‘dhol’ (traditional Punjabi drum) segment that led to the couple dancing the bhangra! They even surprised everyone later with a Bollywood flash mob in lieu of a traditional first dance! 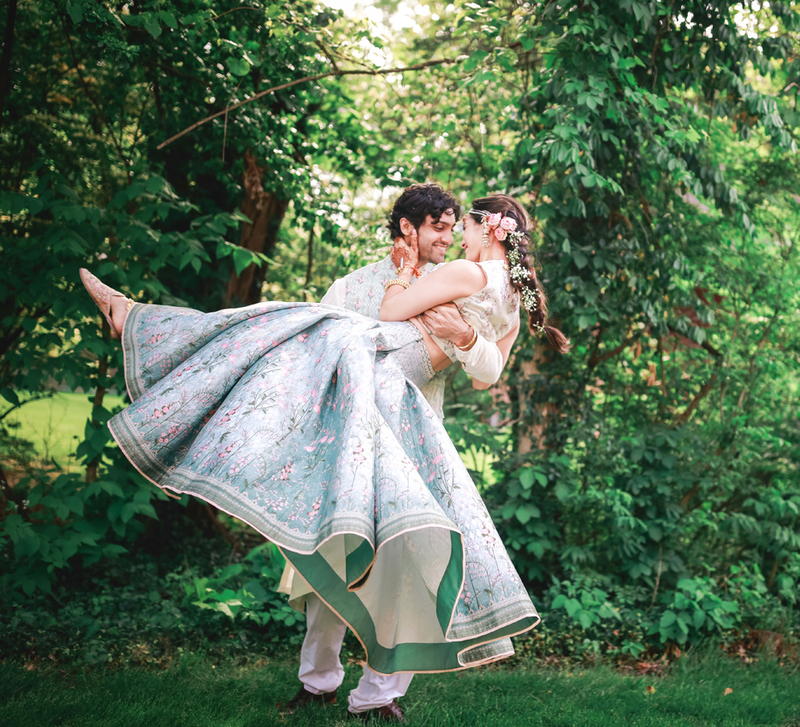 Owing to their love for food, the couple were keen on giving their friends a chance to try out their favorites such as Khadija's favorite Indian street foods, Southern cuisine chosen by Rondell, a gelato cart, pies, cookies, a beautiful wedding cake and mocktails named after the bride’s cat's personalities. A coffee and churro cart served up light bites as late night snacks. Since the venue was all about treasuring the past, the duo decided to wear something meaningful from their family’s past. 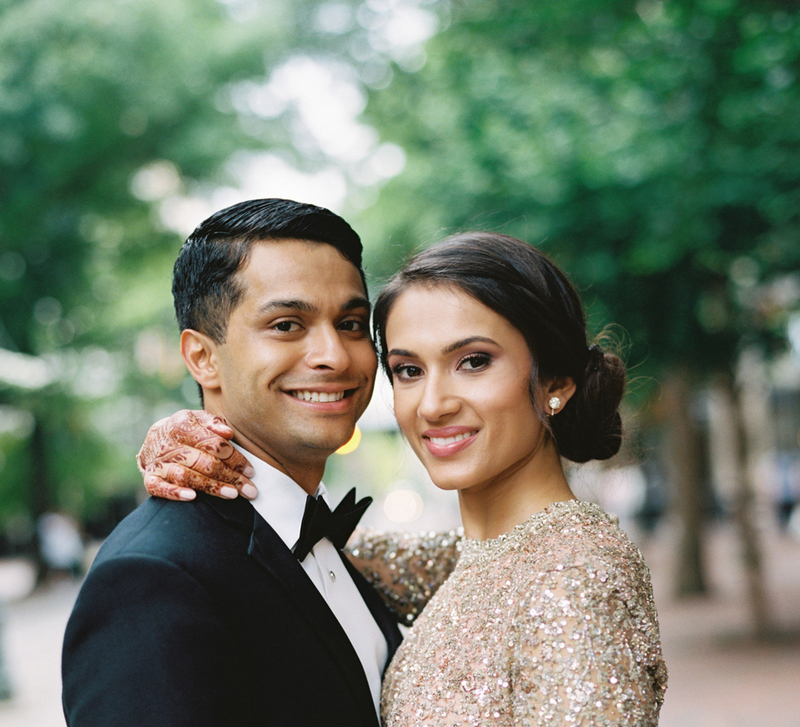 Khadija wore her great grandmother’s 100-year-old pure silk outfit with gold threads that she got from India and Rondell wore his great grandfather’s suit.